Also known as ‘thermal spraying’, metal spraying is a surface engineering or coating process, which involves spraying a wide range of metals or ceramics onto the surface of another material. We offer metal spraying services for a multitude of remanufactured components to reclaim worn bearing and seal locations. Typical applications include work on rotor shaft bearing and crankshaft oil seal diameters. We also use metal spraying to reclaim crankshaft journals on slow revolving or non-combustion engines, such as compressors. The submerged arc welding process is used to reclaim bearing journals, thread diameters and other component features, where strength is required. It can be used, for example, on axles, drive shafts and crankshafts. Our specialists offer a complete white metalling service for all types and size of bearing used in everything from industrial applications to vintage vehicles. 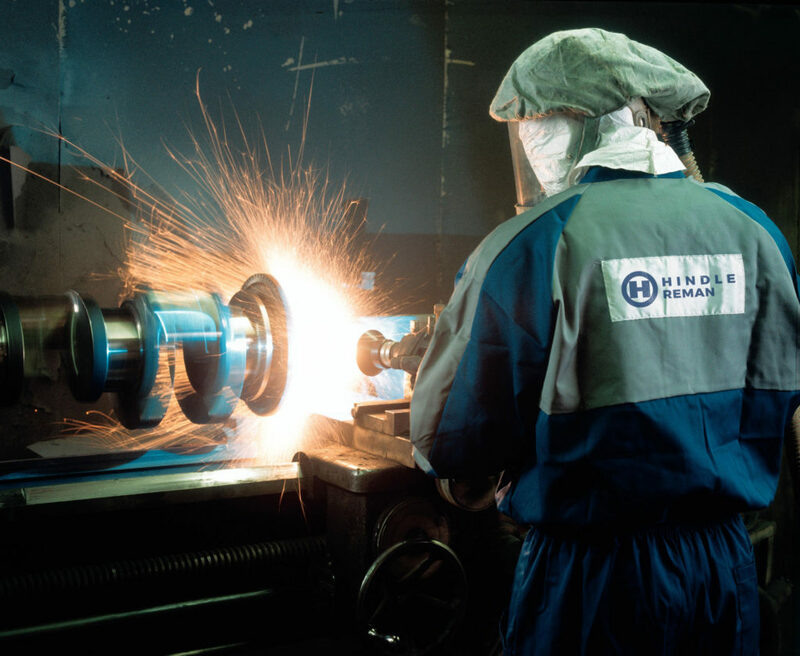 We can re-metal and machine components from big ends and mains to bushes and housings. All radii, scrolls, mud-slots and the like are re-machined to their original standard. Our white metalling technicians and machinists have more than 100 years’ combined experience. This cold metal process is used to repair cracks or patch holes in iron castings, such as engine blocks.